Mexican is the newest type of cuisine to find success in Colombo. A few high profile openings later, we are treated to a number of eateries specializing in Mexican food. Part of the reason why the cuisine works so well in Colombo is our love for spices and flavour, add to that the love we have for meat and chillies and we have a winning recipe. Let’s Taco Colombo is one of the best known places in Colombo to get your Mexican fix and doesn’t really let you down on that account. 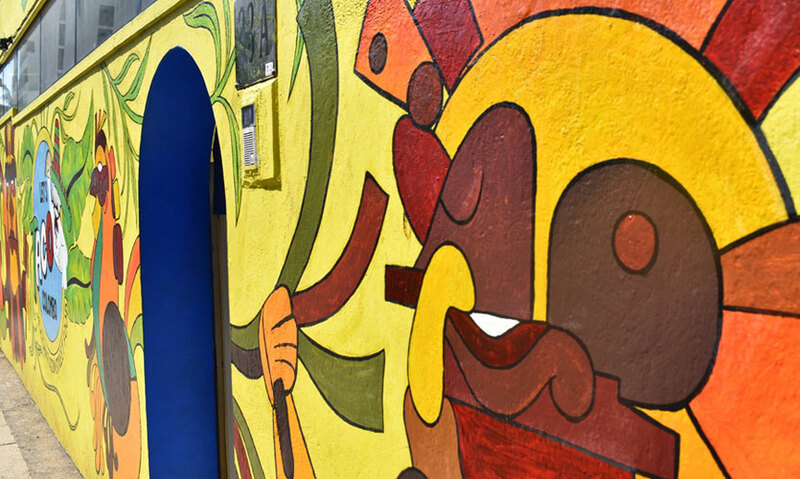 Located on Dickmans Road in Colombo 05, the location is accessible and thanks to the graffiti wall, hard to miss. From Enchiladas and Quesadillas to Burritos and namesake Tacos, the restaurant serves most mainstream Mexican staples and does so pretty well. Pricing is reasonable and the ambience is casual enough for a quiet meal. 1. 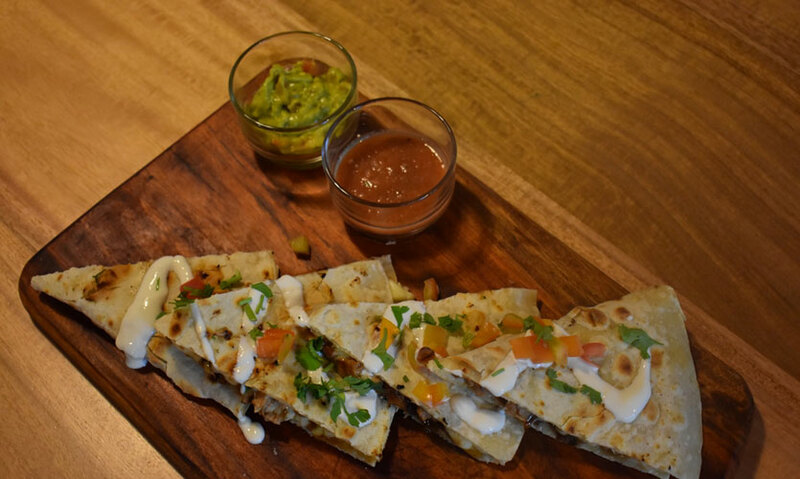 Quesadillas are prepared with tortilla bread stuffed with a concoction of ingredients including cheese and grilled. The Quesadillas over at Let’s Taco Colombo are arguably the best in town with the right filling and great flavour. 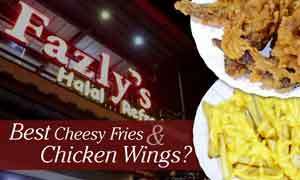 Be sure to order a portion as a starter any day. 2. 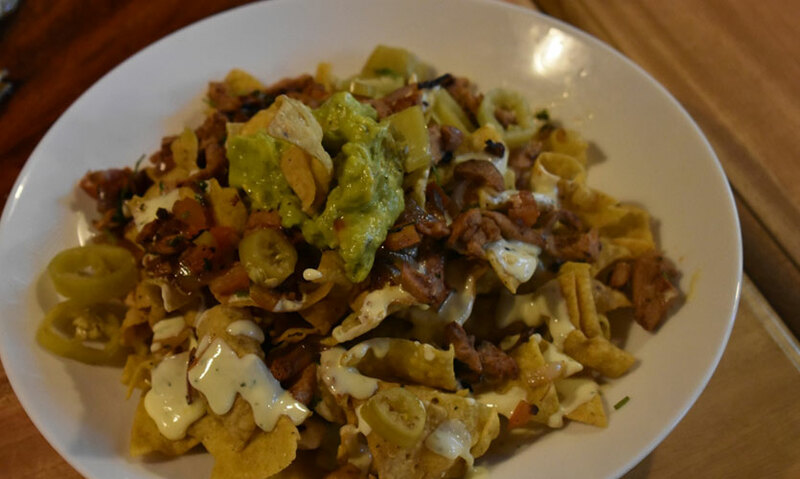 Nachos are another favourite Mexican dish and one that has been around in Colombo for a while with a number of restaurants serving it up as a snack item. The Let’s Taco Colombo Nachos are a plateful quite literally and serves one quite well. 3. 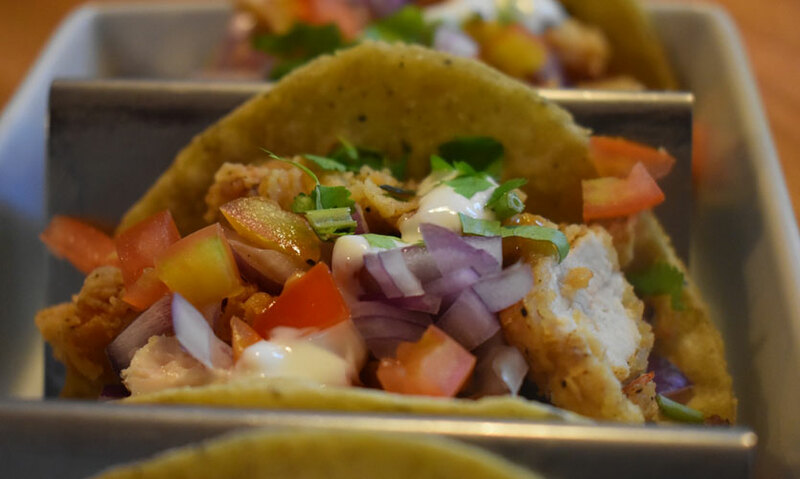 In line with its namesake, the restaurant serves a range of Tacos in a crispy or soft shell. The Fried Chicken Tacos I tried out were soft-shelled and in hindsight I may have preferred a crispy shell but you’ll be hard pressed to find complaints about the Taco in general. 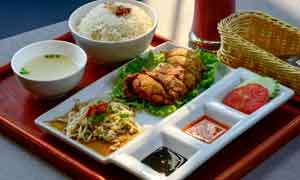 The filling is a great mix of ingredients all complementing the Chicken of which there was plenty. 4. The Nacho Cheese Melt Burger is a must try for all burger fanatics with a taste for adventure. The burger in itself is great with a browned bun, succulent patty and the cheese and garnish to go with it. 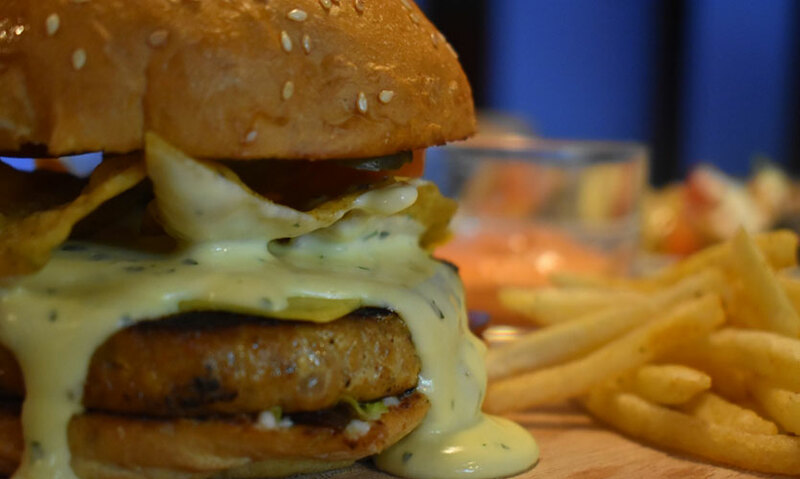 But, what sets this burger apart is surely the addition of Nachos to the burger forming a whole new layer of flavours to an already well done burger. 5. 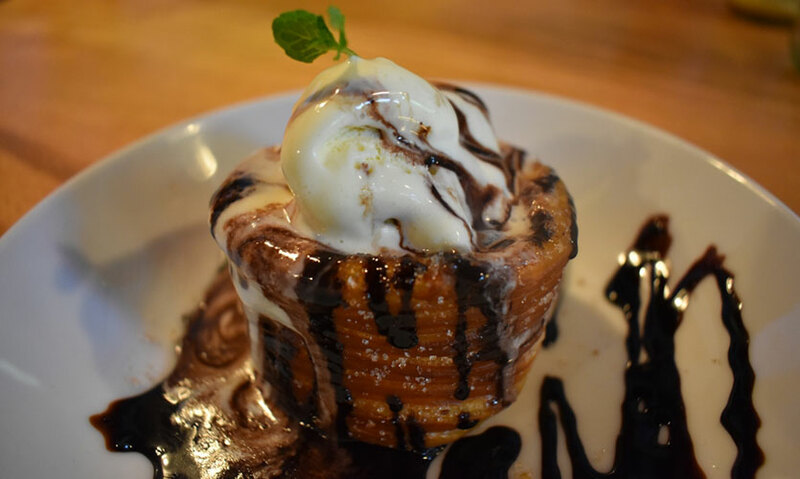 For any Churro fans, Let’s Taco Colombo does one better with its Churro Cup and Ice Cream, which pretty much is exactly what it claims to be – a cup made of Churros complete with a generous scoop of ice cream to taste. Can’t go wrong with a dessert option like this really. 6. 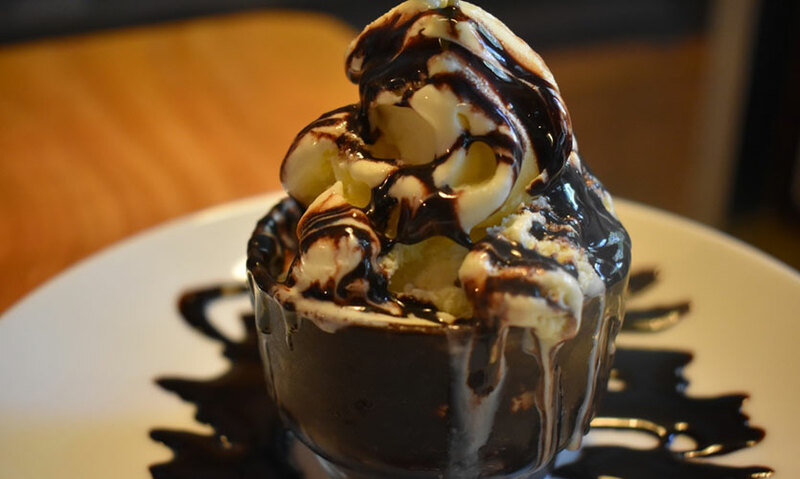 The Chocolate Fudge with Ice Cream is another quirky twist on an otherwise classic dessert, again served in a Chocolate Fudge cup with a generous scoop of Ice Cream.